Handbags and tote bags are great promotional items that can help you create increased exposure for your brand, company or cause. Personalized bags are also great accessories to show off your unique sense of style. Whatever your needs, embroidered handbags and tote bags are a cost-effective, high quality option for customized accessories. They are useful items that are often taken to events and locations with high traffic like beaches, sports events and more. 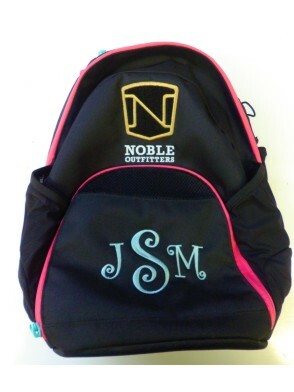 Start your custom embroidered bag order with O’Connor Embroidery today! We have been providing expert custom embroidery services to Charleston, SC and the surrounding lowcountry area for over 18 years! Since the very beginning, we have always been focused on high quality customer service and close attention to detail. We always work to complete orders on time and to our client’s specifications. If you already have bags that you’d like embroidered, we can work with you there as well. 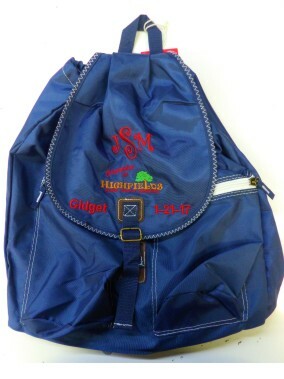 We offer a full range of embroidery design options to accommodate any embroidered bag styles. Get in touch and let us know what you need. We look forward to working with you. To place an order, browse our catalogs to find your favorite items and complete our online order form. You can also call us at (843)762-7600 to make an order or with any questions you may have. Here are some embroidered bags that we’ve completed in the past. Take a look and give us a call today to create your own embroidered handbags, tote bags and more!